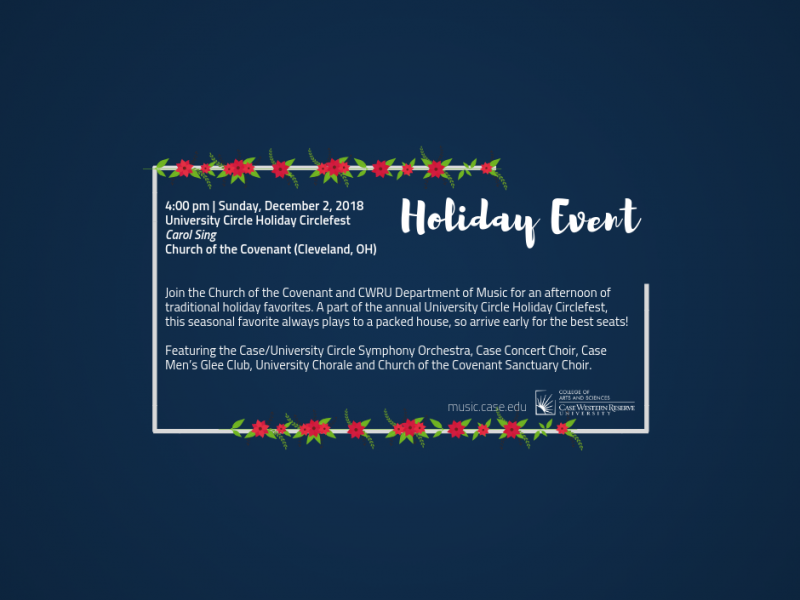 Join the Church of the Covenant and CWRU Department of Music for an afternoon of traditional holiday favorites. A part of the annual University Circle Holiday Circlefest, this seasonal favorite always plays to a packed house, so arrive early for the best seats! Featuring the Case/University Circle Symphony Orchestra, Case Concert Choir, Case Men’s Glee Club, University Chorale and Church of the Covenant Sanctuary Choir.